What Laptop or Computer Should I Buy? This is a question I get asked very often. But it is not one that is easy to answer. It’s like asking someone “What car should I buy?” Now if I worked for Renault or Ford then it becomes easier but as an independent IT technical support professional I have no such allegiances to any specific vendor. The biggest issue facing a consumer are the rapid changes that occur in the marketplace. Every week new models are released with different specifications so it is a tough job trying to compare the relative value of each. Either way, most modern computers come furnished with more than adequate system specifications. The reason this is a hard question to answer is because we all have different criteria for selecting a product. Some choose on aesthetics. Some on performance. But many people still use price as the deciding factor. The first piece of advice I always give is set yourself a budget and buy up to that value. It’s very easy to get drawn into a “better deal” through the up-selling techniques of a salesman but there is no point in spending out extra cash on a faster processor or larger hard drive if you don’t need it. It is good to have an idea of what you’d like to do with a new computer. Many people say “I just want to do a bit of web browsing”. Now five or six years ago this type of activity didn’t require much computing power but as the internet has developed the computer has been forced into performing more resource intensive tasks. Browsers never used to have multiple tabs but now it is possible to have many windows open. I regularly have over 10 tabs open, each one take up memory resources. Watching videos through youtube or iPlayer demands additional processing. And then there’s the unseen elements you tend not to look at but still require processing and memory resources. Things like animated adverts; some of which can take large chunks of processing power as well as broadband bandwidth. Some people require portability and maybe just require a laptop on the commute. 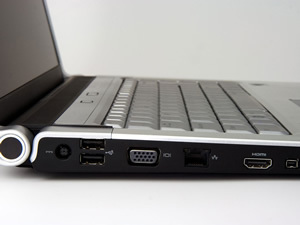 Netbooks are ideal for this because they offer great battery life but at the expense of a high performance processor. However, if you want portability and performance then set yourself a very high budget. The other consideration is Laptop or Desktop. Laptops have the natural advantage of freedom. You can move them easily to where you want to work. The dining table. The sofa. But that strength is also its weakness. The fact you can move it increases the chances of it being dropped; and I see this type of damage on a regular basis. There is also the “Coffee Factor”. Spill coffee on your desktop keyboard and you have only generated about £15 worth of damage. Spill Coffee on a laptop and nature’s ability with fluids and gravity will have the heart of your laptop flooded in no time. When purchasing a new laptop you will often get asked to take out insurance cover. This is invariably unnecessary as many household insurances will cover the laptop. Ask you insurance company what cover you have, including accidental breakage. Some of the insurance schemes offered in shops do not always cover what you’d expect them to. So make sure you read the small print before going ahead. This may not be at the forefront of your mind when buying a new computer but always ask what is covered in the warranty. All electrical goods are covered in the Sale of Good Act so must be fit for purpose and of satisfactory quality. In a similar vain to the insurance, you may be offered Extended Warranty but first find out what the manufacturer offers in terms of warranty. Some vendors may offer three year warranties as standard or may run a more cost effective scheme. Also find out how the warranty works. Some vendors offer a “Collect and Return” policy where they do the running around and collect the computer from you. Others offer a “Return to Base” policy where you must get the computer to them. Either way make sure that if you do need to be parted with you computer, get a backup! The vendor is under no obligation to protect your personal data. I received a call recently where a well known high street Computer shop sent the Laptop away and then reset the entire thing back to factory settings. They did not confirm if the customer had a backup. This is a tricky one and basically down to you. Which one do you like? Taking into consideration the fact I mainly buy for business, I tend to opt for Business level PCs like HP. They are not the most beautiful looking systems but in business, function is more important than form. HP also have better after sales support with respect to parts availability. Very important when looking at maximizing up time. Either way, the best rule of thumb is decide how much you want to spend and stick to it.